Another spring Wet n Wild? Sure haha I sometimes get behind, and well, this is what happens. Chambray Showers is a soft, light blue. It is very pigmented, not sheer at all like yesterday's post! 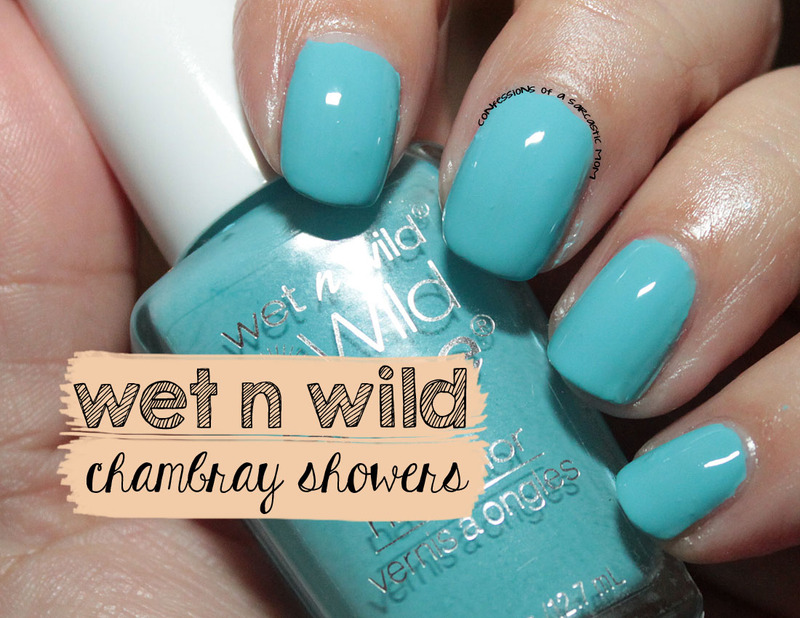 A tad on the thick side, Chambray Showers is a gorgeous blue that is good in two coats. If you really wanted to push it, one thick coat might make it, but I think two medium coats worked best. Unfortunately, this was a limited edition shade from this past spring. I'm not sure you can find it in stores, but online maybe? Maybe in blog sales.